New York City has a reputation for being very expensive and it totally is. That said, it’s possible to enjoy a helluva lot of stuff for free if you know where to go and when. 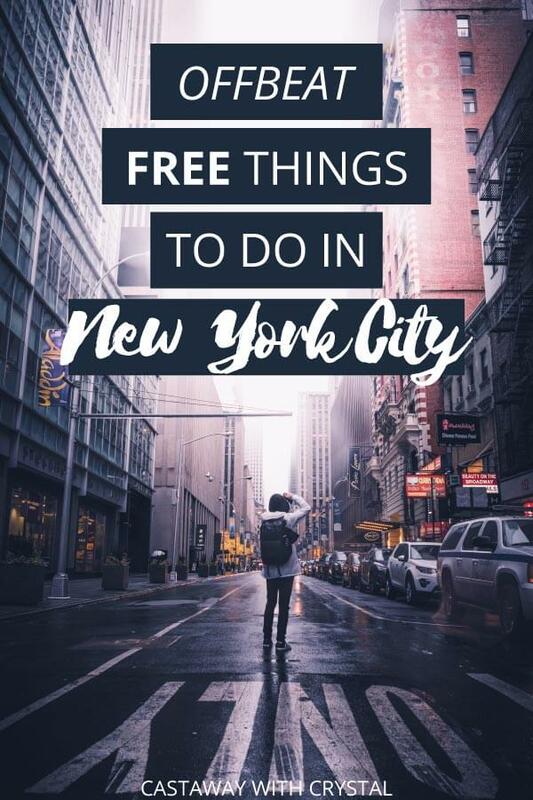 Take it from me, a New York City native who has spent her whole life avoiding crowded tourist traps, expensive money sinkholes and bloated events: there’s plenty of free things to do in New York City. In the following list, I am including the activities I have done and enjoyed. I don’t try to push things on others that I would never want to do myself. So as a result, you will not see Times Square here (as a native, I have to be honest in my deep loathing for this area of Manhattan. I won’t judge you for going, but don’t drag me there…). 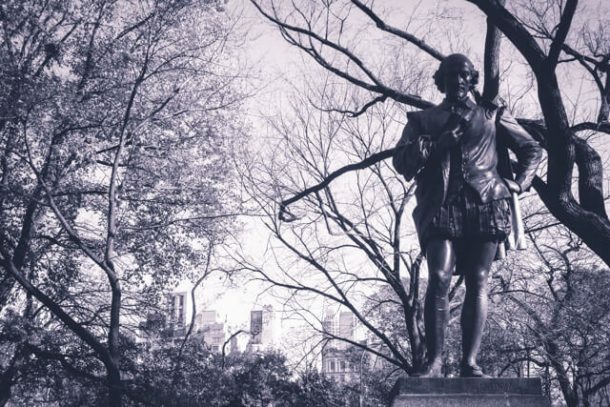 You will not see a clichéd recommendation that you walk through Central Park, either. It’s Central Park, it’s great, blah blah blah you knew that. 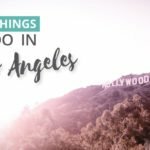 There are some crowded areas on this list, but they are fun and well worth going despite the crowds. 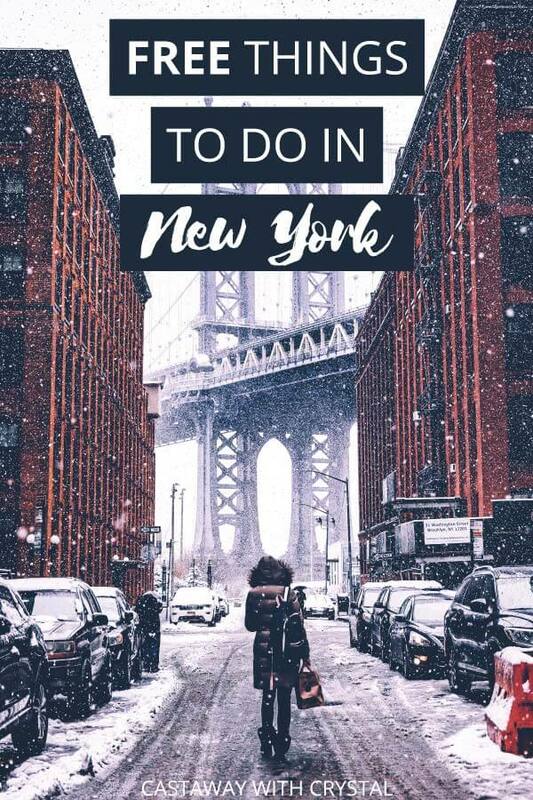 Most of these free activities in New York City would be best done in the warmer months, but there is also a healthy number that can be done during winter and rainy days, too. 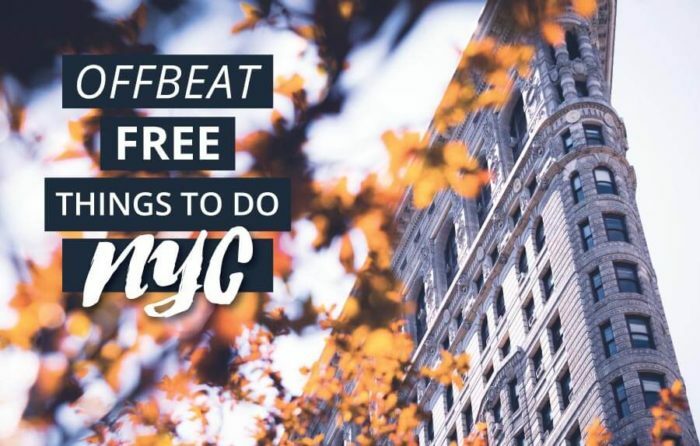 Without further ado, here are the best free things to do in NYC! What used to be an elevated subway line that serviced the Western side of Manhattan years ago was left as an abandoned wreckage until 2006 when work on the park began. 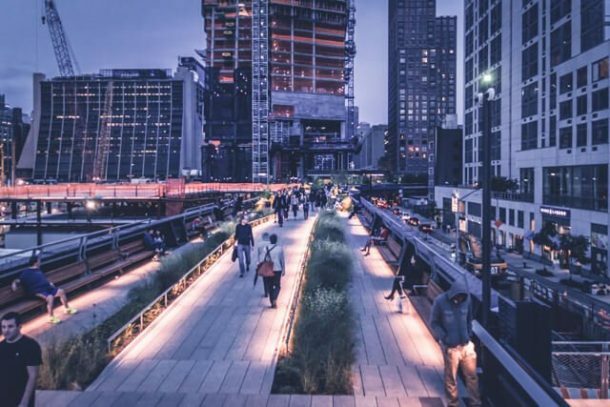 The Highline opened to the public in 2009 and has been a major success. It’s totally free to walk on and takes the visitor from the Meatpacking District on 14th street to the rapidly developing 34th street. It offers beautiful views of the river and boasts plenty of places to take a sweet picture of New York. I go there a lot with my students (I’m an English Language teacher) and we really enjoy the breeze off the Hudson on hot days. I wouldn’t go during the weekends if you can help it, the park gets really crowded, especially on beautiful days. Stretching out underneath the Highline you’ll find a plethora of art galleries. These galleries are funky and weird as hell. They’re free to enter and some are pretty big. I think this is one of the most underrated things to do in New York City as most people will walk right past these galleries while on the Highline. 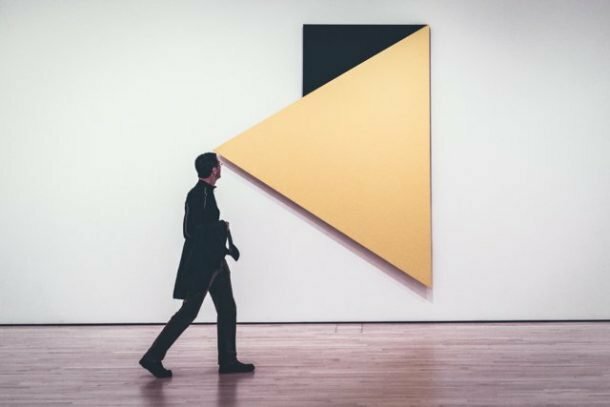 Here’s a list of galleries you can go see (there’s a lot, so pick ones that look fun while walking around otherwise you’ll burn out!). If you can stand the crowds, making a trip to see the MoMa for free on a Friday afternoon from 4-8 pm is high on the list of quintessential things to do in New York City for free! 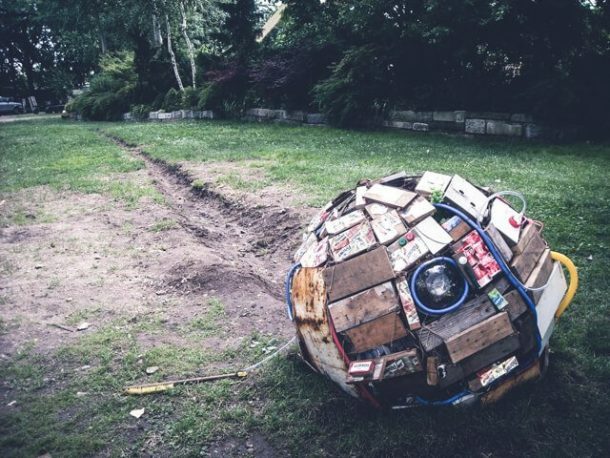 This is a world-class museum that houses some seriously famous works of art. Don’t be too daunted by the size of the line getting in (it’ll likely be MASSIVE). The line moves quickly and you’ll be inside in no time. I’d recommend getting there around 6:30 to beat the rush of people who show up at 3:30 to get in line. I have waited in this line and I have not had the chance to actually get tickets. This is the premier, crème-de-la-crème of free stuff in New York City (info on how to score free tickets here). Unfortunately, the secret is totally out and everyone, their dog, their neighbor and their mom is on this line to get tickets. That said, you can turn the wait into a fun sleepover party in the middle of Central Park! If you do get tickets, you’ll receive 2 for free and get a chance to see a Broadway production of a Shakespearean play. Just do yourself a favor and don’t wait until the last minute to get on the line. More details about the season can be found here. The Cloisters are part of the Met’s art around New York City. 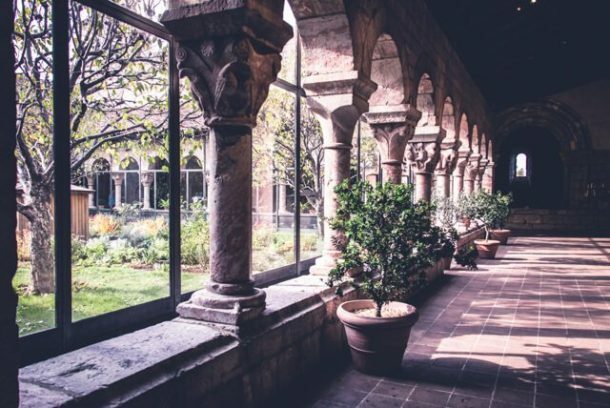 Although tickets to go inside the cloisters are not free, visiting the park and the grounds around the cloisters is and it is a beautiful place to go. Fort Tyron Park is a gorgeous park with panoramic views of the Palisades and the Hudson River. An icon. A classic. 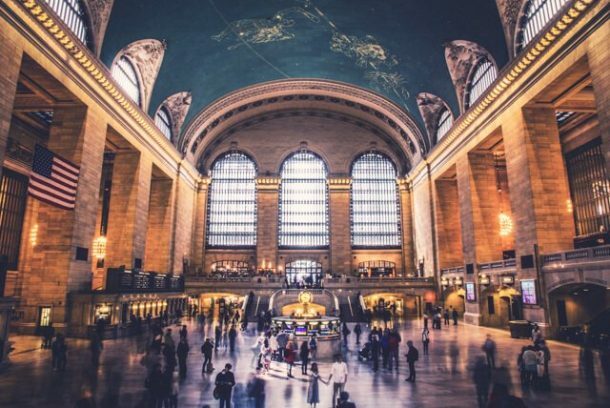 Grand Central Terminal is a beautiful holdover from the Vanderbilt era of New York City: an era of rich railroad tycoons, oil barons and bankers. Although the area around the station has been built up and modernized, this grand building still boasts some of the richness of the turn of the last century and is a real beauty. There are a ton of shops inside to go window shopping (they’re expensive!) as well as a saloon tucked in a far corner where you can learn about how what used to be an apartment got turned into a secret bar. 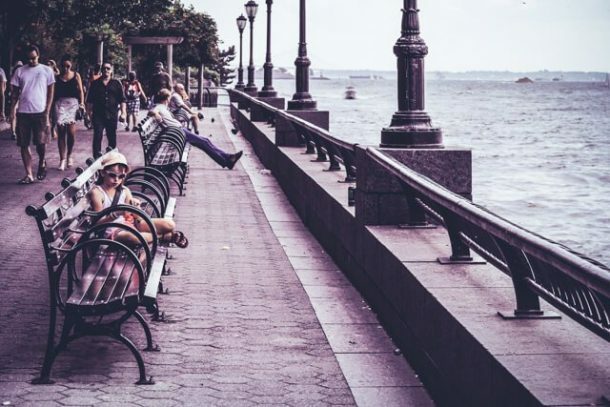 Starting at Battery Park, you can walk along the Hudson River and enjoy some beautiful views of the city while not being inundated with the noise and traffic. This is a beautiful, romantic walk with plenty of places to sit and watch the boats go by. I like to come here when I have an afternoon free and relax. It’s not nearly as crowded as some of the other parks in the city and you’ll likely find plenty of places to be alone. More information here. A beautiful homage to a terrible event. 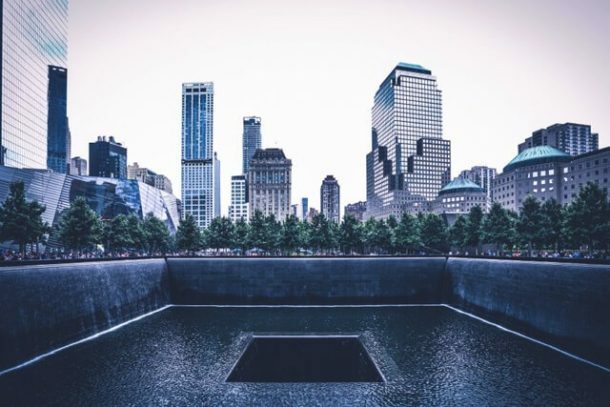 This is a great place to go and reflect on where you were that day and see, in person, the site of the most devastating attack on American soil in history. Please be respectful and don’t do a bunch of smiling selfies; it’s a sacred place. The museum is not free, but the memorial is open to visitors. 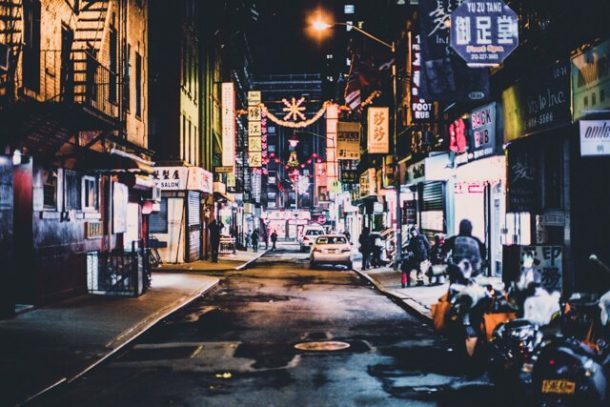 The Chinatown in lower Manhattan is a really cool place to get lost. The grid disappears down here and this neighborhood, which has seen its share of different groups of immigrants over the centuries, is still resisting the rapid globalization and modernization that the rest of the island has been experiencing. I like to wander into some of the grocery stores down there and look at the stuff they sell inside, and sometimes you can score some tasty treats to try; yay free stuff in New York City! Chinatown is totally different than the rest of the city and I love it. I’d also recommend getting a bite to eat at Great NY Noodle Town (this is not free, but it is a super cheap and delicious place to grab lunch or dinner). I cannot recommend this museum enough. I think this is one of my favorite museums in New York City. If you have ever watched a movie you’ll enjoy this place. Not only does the permanent collection boast tons of weird props from very famous movies, the temporary exhibits are amazing. They’ll cover everything from internet memes to cat videos. I would highly recommend a stop out to Astoria, Queens to check this place out! Go on Friday afternoons between 4 and 8 pm and you’ll get a chance to see some great stuff. A weird “only in New York” type of park. This small pocket of trees sits right on the East River. It doesn’t get tourists and will fill up with free activities in New York City during the warmer months. You can come to see the strange delights that await you there (always some kind of funky statue). You can even show up for some free yoga if you feel inclined. “The oldest temple in the USA” sounds like it should be super old, but it’s not; it opened in 1977 in Flushing, Queens! 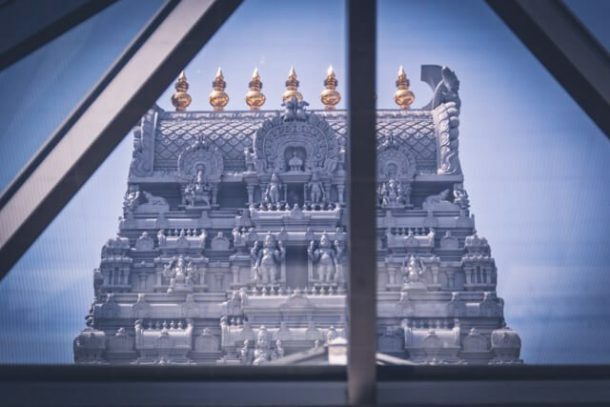 That said, The Ganesh Hindu Temple is a great place to go check out if you’d like to get a taste of local Hinduism and the Indian culture that thrives in New York City. In the basement Canteen, you can get some delicious, cheap South Indian food and enjoy a number of free events they host throughout the month. The temple is free to see and well worth a visit. 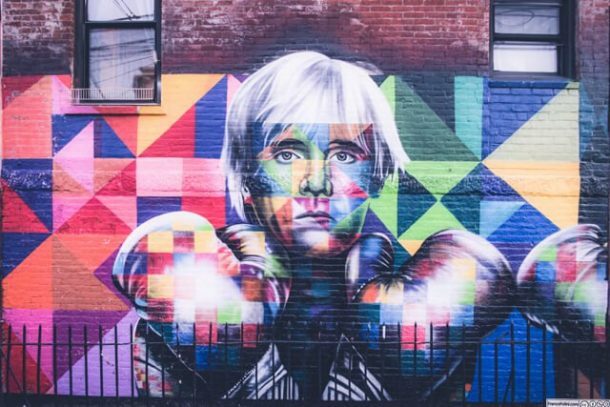 Welling Court in Astoria, Queens is a wonderful enclave of contemporary artists’ work. 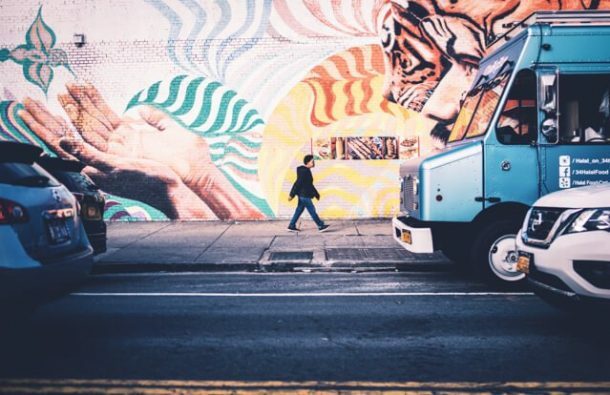 From the strange to the inspiring you can really see some of the New York’s freshest stuff. Learn more about what they are doing here. I don’t think people give the Bronx enough credit. This borough is massive, varied and still largely untouched by the rapid globalization that has hit the rest of the New York City. This means you are in luck. Go up to the Bronx and check out the Bronx Zoo, which is free on Wednesdays! This is one of the largest zoos in the US and it is OLD. It opened to the public in 1899, which means that some of that beautiful turn-of-the-century architecture is still there for you to gawk at. The Bronx Botanical Gardens are also free on Wednesdays and they are so beautiful. The architecture is of the same era as the Zoo and the grounds are brimming with flowers, old trees and vast lawns you can stretch out on. As far as things to do in New York City for free, this is epic. I recommend this walk to everyone who comes to visit me. This is a no-holds-barred, can’t-get-this-anywhere-in-the-world walk. Take a good pair of walking shoes and start in Williamsburg, follow Bedford Avenue and walk South toward Prospect Park. 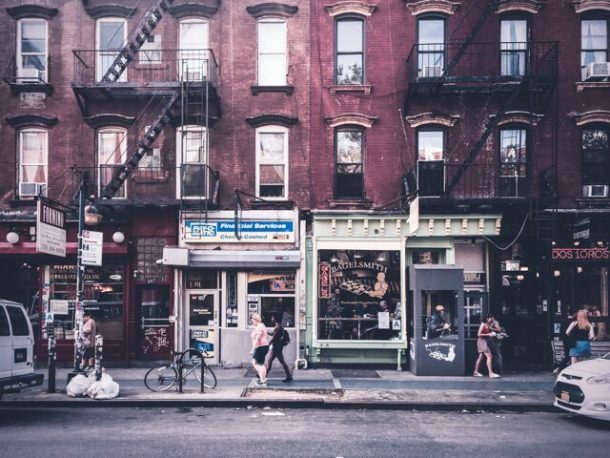 This walk will take you through the hip, chic area of WillyB’s, into the highly religious and private Hasidic Jewish neighborhoods, then into Afro-Caribbean Bedford-Stuyvesant. The walk is not touristy and these are real people living and working in the communities. You are a visitor and I would recommend that you don’t draw too much attention to yourself. But, to just walk through these areas is a real schooling on how different the neighborhoods of Brooklyn can be. I’ve done this walk about a half-dozen times and it never gets old. Set aside a couple of hours for this. I wrote in more detail about the walk here. 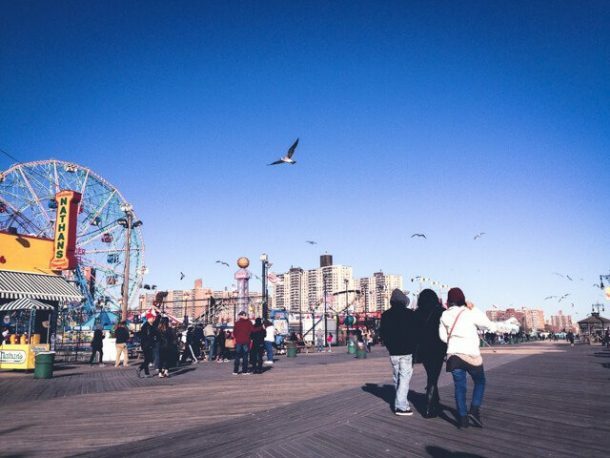 Coney Island has a long history. Over the decades it’s seen its share of ups and downs, but the real soul of the area is the Coney Island Boardwalk and the Cyclone rollercoaster, in my humble opinion. This place can get really crowded in the summer, but on a pleasant fall or spring day, you can practically have the whole place to yourself. It’s a great chance to see some real beach, walk amongst Luna Park amusement park and watch people ride the Cyclone, one of the world’s oldest roller coasters. In the summer you can come down here and take a swim—and join the more than 14 million people who are likely to do the same at some point this year. 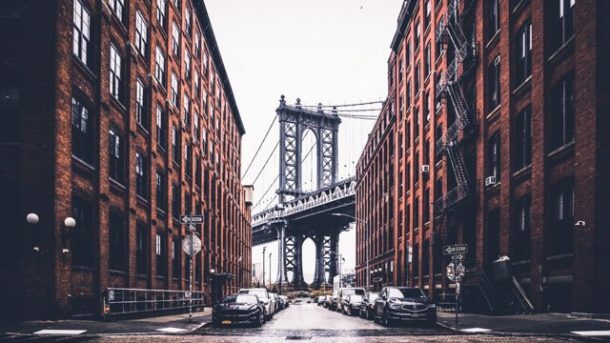 The neighborhood of Dumbo is a beautiful place to visit. 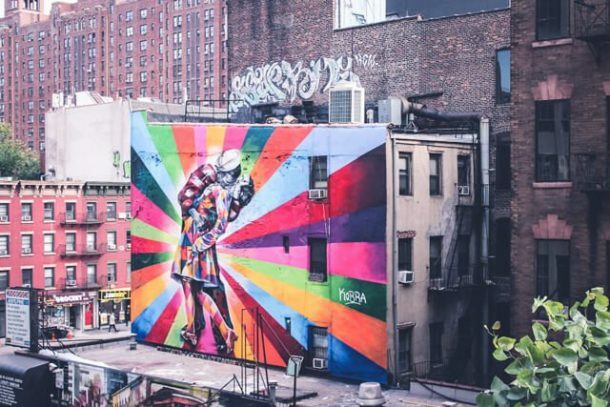 It has cobbled streets, vintage brick buildings, sits under the Brooklyn bridge and sports some sweet street art. Just walking around this area is a real treat and you’ll find some epic shots to take for Instagram. A quick stop off the L will land you in trendy Williamsburg. It’s easy to walk through this really hip area and check out the wild street art. I like to take my students here as a first soiree into Brooklyn. 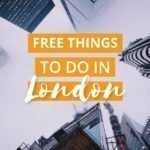 You can download walking tours for free here. 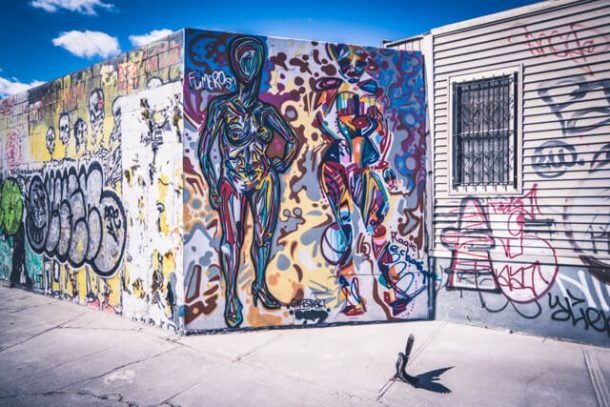 Further out on the L train you’ll hit the Bushwick Collective’s art and graffiti sprinkled liberally throughout the neighborhood. This stuff is thrilling to see in person. It’s big, colorful and thought-provoking. 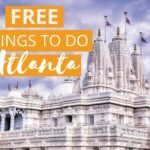 There are free walking tours offered online here. I don’t think many people know this park even exists. That makes you visiting it a real treat because you’ll likely be only one of a handful of tourists there. 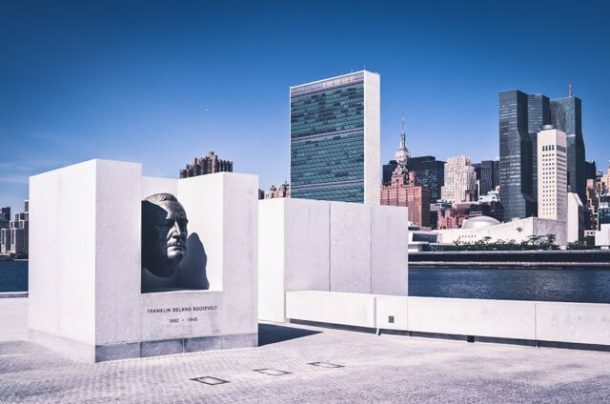 It’s free to see, takes you to the funky Roosevelt Island, and gives you sweeping views of New York Harbor. It’s just a really cool place. Oh! And it takes you past the super haunted-looking abandoned Smallpox hospital. Fun! A classic. This massive piece of metal painted bright orange may not be a million-dollar yacht, but it will give you a chance to take a good look at lower Manhattan and the Statue of Liberty for the price of nothing. The ride is 30 minutes and you’ll get a sweet opportunity to see the sights twice: to Staten Island and then back to Manhattan. The Ferry leaves quite frequently and runs 24 hours. I’d recommend going at sunset to catch that view over the New York harbor. More info, including the timetable for the Ferry, here. Easily one of the best ways to join the ranks of things locals do. 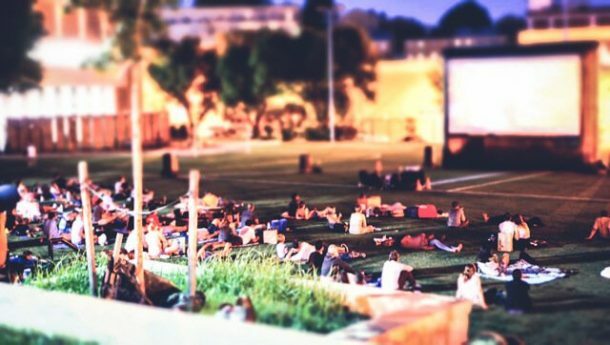 The summer movie series in New York City is a great way to get together with some friends– or join a meetup group if you are on your own– and go see a free movie! The films are usually played in a park in different boroughs. Check out the website for more details about what is playing near you. 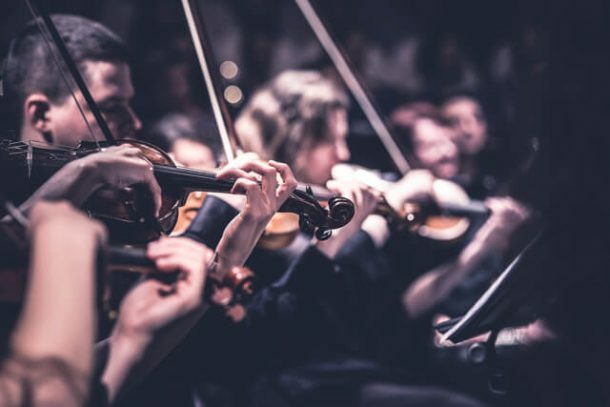 Throughout the summer New York City hosts some of the world’s famous musicians to listen to and there are free things to do in New York City for everybody. Check out the events calendar to see if your favorite band is playing. The events are usually pretty packed, but overall it’s a great time! Bring a picnic basket and prepare to enjoy the evening. My favorite event is when the NY Philharmonic plays in Central Park. At the end of the show, they’ll shoot fireworks! 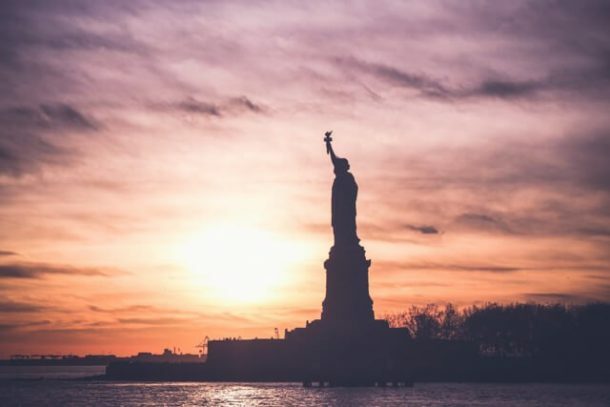 So whether you’re familiar with NYC or it’s your first time here, this long list of awesome free things to in New York City will have you exploring every crack and crevice this multicultural city has to offer! So get outside end explore New York, New York. 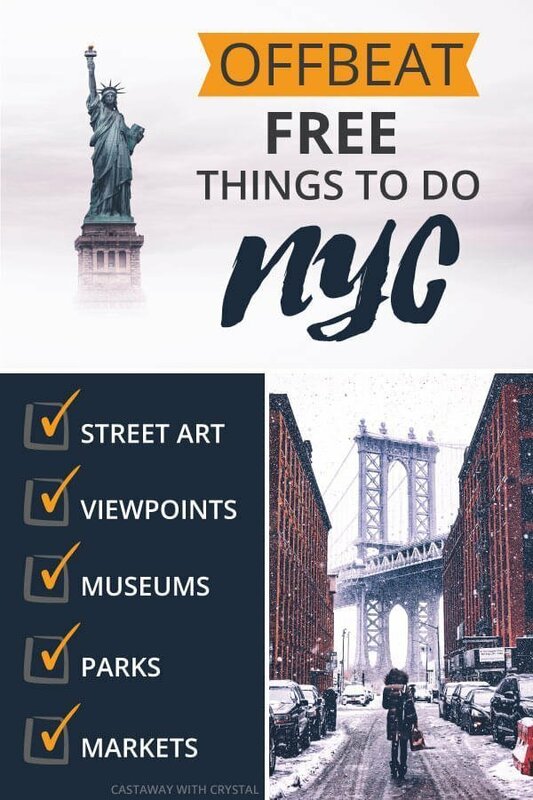 Got more free things to do in New York City? Add them in the comments below! WANT MORE FREE THINGS? Here Are Posts from All Over The World! I much enjoyed your account of free things to do in New York’s five boroughs. The pictures and descriptions brought back memories of my own growing up and going to school in Manhattan, Brooklyn, Bronx, and Queen’s. Cooling off on a hot day on the Staten Island Ferry is a childhood memory that I treasure.